Yorkshire’s largest 150 companies are revving up for growth, having driven revenues up by £5bn and increased investment by 20 per cent in the last year, but challenges remain as profits dip by 3 per cent, according to the Yorkshire Report 2013, released by accountancy and business advisory firm BDO LLP. The top 150 saw revenues increase to £88.8bn from £83.8bn last year, and £79.6bn the year previous. Yorkshire’s biggest businesses also boosted future growth by investing an extra £500m to take the total to almost £3bn in the reporting period – a huge step in the right direction. But conditions are still tough, with operating profits going the other way by falling 3 per centto £4.34bn this year, a reduction of £140m. “Weak consumer spending and continued uncertainty in the Eurozone – still Yorkshire’s biggest overseas market – combined with squeezed margins and intensified competition, have contributed to the drop in operating profits. BDO’s Beaumont is right. According to the Yorkshire Report 2013, an extra 10,000 people have been taken on in the reporting period, with a total of 480,000 now employed by the group of 150 companies. 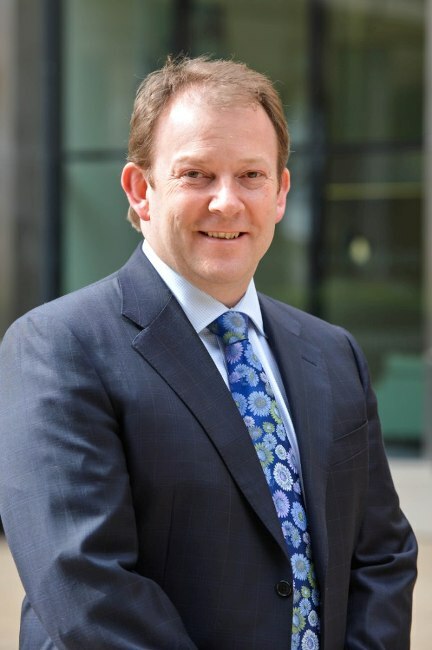 Businesses have also increased gearing – the proportion of a company’s net debt compared with its equity capital – from 33 per cent to 38 per cent, a reversal of last year’s downward trend which, says Beaumont, is a “good sign they are becoming less focused on paying down debt and more conscious of a future worth investing in”. The Yorkshire Report 2013, now in its seventh year, compiles the latest published accounts from Yorkshire’s largest top 150 businesses based on revenue, analysing trends and acting as a barometer of health for the region. Of the 150 companies analysed, 122 made a profit – another positive uplift from the 117 last year and 105 the year previous. The retail sector was the largest contributor to both revenue and profits. Food retailers Asda/Walmart and Morrisons continue to dominate, accounting for £39.5bn of the £88.8bn turnover, with other retailers contributing a further £4.5bn to the economy. More than 20 per cent of businesses in the top 150 were manufacturers, which contributed the second largest revenue at more than £9bn. In third place – by revenue – was the construction and real estate sector (£7bn plus). Newcomers to the list include food manufacturers Symington’s following its acquisition of Victoria Foods and Sheffield-based Fennel Acquisiton, owner of Fletchers Bakeries. In the construction and real estate sector, Sewells Group, Howarth Timber and Marshall Holdings made the top 150 list for the first time, as did recession-friendly scrap metal exporter Van Dalen UK. The BDO report finds that West Yorkshire is home to half of the largest companies, followed by South Yorkshire (23 per cent), East Yorkshire (15 per cent and North Yorkshire (12 per cent). Leeds is the most represented city with 28 companies in the top 150, followed by 19 companies based in Sheffield, then Bradford (17) and Hull (15). Looking further away from home, the percentage of sales to Europe fell slightly as a result of a challenging Eurozone backdrop. But the region performed better in terms of exports to the rest of the world, with the value of goods exported up by 11 per centto £5.57bn. More promisingly still, sales to emerging markets rose sharply, with exports to Asia up 47 per cent and Africa up 45 per cent. Likewise, international companies have their eyes on Yorkshire. Overseas acquisitions were again a feature of the year, with more than a third of the top 150 now owned by international companies. “Businesses have made a marked step change in their ways of working; they are starting to take bold moves as part of their growth strategies. With increased investment levels, growth in overseas markets and an itching up of gearing, it seems the biggest companies are more confident in having a future worth investing in.